Species: Cassia is the name used mainly for the spice derived from Cinnamomum cassia (Chinese cinnamon) although, confusingly, Cassia is sold as generic cinnamon in the USA but differentiated from other cinnamon barks in Europe. 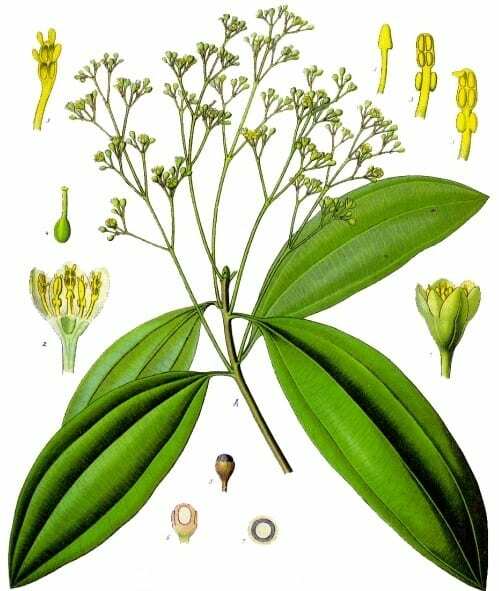 Other common cinnamon-producing trees include Cinnamomum verum (‘true’ cinnamon), Cinnamomum loureiroi, also known as Saigon cinnamon or Vietnamese cinnamon, Cinnamomum burmannii (Indonesian cinnamon) and Cinnamomum citriodorum (Malabar cinnamon). Geography: Cinnamomum cassia is native to southern China, and cultivated throughout Southern and Eastern Asia from India to Taiwan by way of Laos, Vietnam and Thailand. Characteristics: Cinnamomum cassia and its sister cinnamon-producing species are all evergreen trees of the Lauraceae family that also includes laurel, bay, sassafrass and avocado trees. Cassia trees can grow to over twenty feet tall and have long, oblate leaves. The bark from the trees is harvested, stripped and dried, curling into quills or scrolls as it does so. For spice purposes, the bark is usually powdered. Cassia bark is noticeably thicker than true cinnamon and has a hotter, sweeter taste that is less aromatic than true cinnamon. In gin, cassia adds complexity to the base flavours and manifests as a warming, earthy spiciness, prominent in the finish. Other Uses: Cassia and cinnamon are widely used in the cuisine of most cultures to flavour everything from meat stews to ice cream, as an ingredient in curry powder and Chinese five-spice through to sweet pastries and pies, chewing gum and breakfast cereal. It is excellent with stewed fruits, particularly apple, and an essential ingredient in mulling spices for wine and cider. The essential oil of cassia contains cinnamaldehyde, which is used to treat nausea, flatulence and diarrhoea, with other applications including as an insecticide, and is currently being researched for possible benefits in the treatment of Alzheimer’s, leukaemia and obesity. Cassia’s essential oil also contains the blood-thinning agent coumarin which is dangerously toxic in large doses. Present In: Cassia is a very popular botanical, with Bombay Sapphire, Martin Miller’s, Opihr, Sipsmith, Oxley, Bulldog and Botanist just a few of the gins that make use of its hot, earthy charms. Cinnamon was used by the ancient Egyptians as an embalming agent and was found in Tutankhamun’s tomb, along with its fellow future gin botanicals Juniper, Cardamom and Coriander. 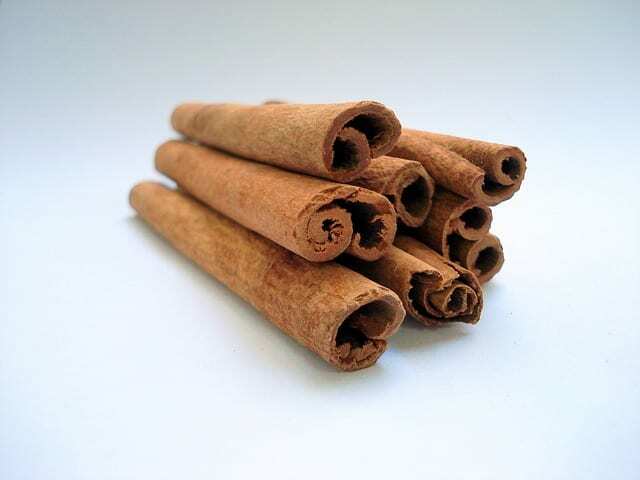 Cinnamon was incredibly expensive in ancient Rome – Pliny the Elder wrote that a Roman pound (325 grams) cost the equivalent of four years pay for the average labourer. Despite this, the Emperor Nero is said to have burned a whole year’s worth of the city’s supply of the spice on his wife’s funeral pyre. There was so much cinnamon growing in Sri Lanka in the 17th century that Dutch traders reported that it could be smelled over twenty miles out to sea when one was downwind of the island.